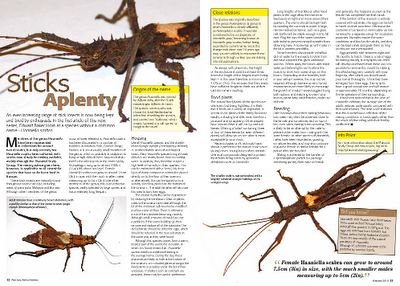 An article that I have written on the rearing of Haaniella scabra will be in the next issue of Practical Reptile Keeping, available on the 30th December. The advice can be used to rear most other Haaniella species successfully. I encourage you all to go out and buy it. 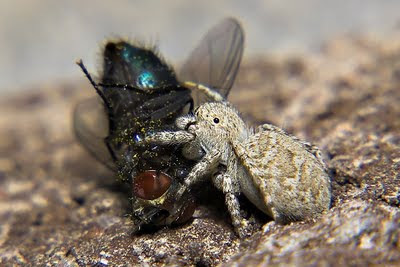 Jumping spider eating a fly from ej and Ugly Overload: Fly Swatter. 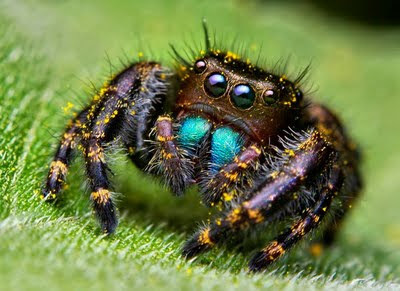 Jumping spider thanks to Ugly Overload and Opo Terser: Spider Awards. 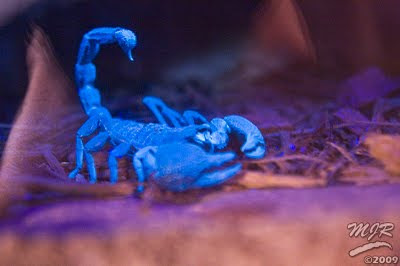 Scorpion fluorescing under UV light. Thanks to Mike Ralford and Ugly Overload: How to Floresce. Carly Daniels (pictured) of the National Lobster Hatchery has been presented with the John Rose Award (£1,000) of the Instiution of Environmental Science and has given a presentation f her research at the Burntwood Lecture at the Royal Society. The money will be spent making a video for visitors to the Hatchery. I have been meaning to go and visit the National Lobster Hatchery for a while now, hopefully I can arrange it for next year. Cnidarian Lifeforms from Delrious on Vimeo. Via Deep Sea News: Cnidarian Lifeforms. The website for the new journal, Invertebrate Rearing, has seen some recent improvements. I have added submission guidelines, and the ability to get e-mail notification of journal issues. All you have to do is head over to Invertebrate Rearing, register an account, and then click the link to manage your subscriptions. We have already received submissions for the first issue, but could do with a few more. Articles can now also be submitted online, so get your fingers out and start typing.